Velocity stacks taller than roof. 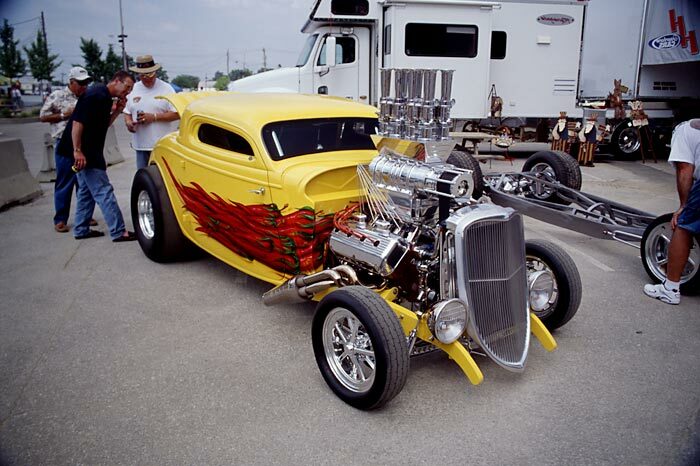 Yellow hot rod dragster with Chilli Flame Job. Good Guys Nationals Car show Columbus, Ohio.